Your little man will feel like a superhero wearing this Bell Sports Child Gloves And Pad Set. It offers quality protection for adventurous kids when they are playing. It guards elbows, knees and hands from scuffs and scrapes while riding and running around. 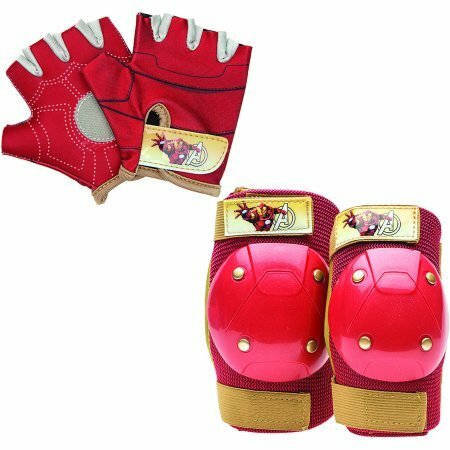 The Iron Man gloves and pad set features custom high-impact knee and elbow skid guards.